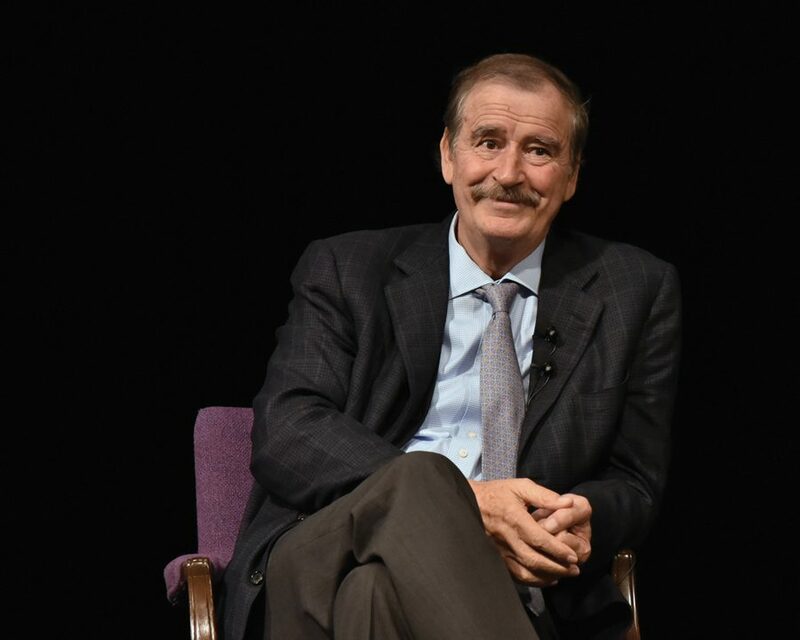 Just weeks after his country signed on to a revised North American free trade agreement, former president of Mexico Vicente Fox defended the country’s contributions to the pact in response to U.S. President Donald Trump’s complaints that trade relations were unfair. Fox said Mexico is pulling its weight economically, citing increased wages, per-capita incomes and Gross Domestic Product. He spoke proudly of Mexico’s 11 “state-of-the-art” manufacturing plants, including Mercedes-Benz, BMW, Toyota and Chrysler. Fox said the world is currently undergoing rapid changes, including the rise of what he called “nation-states”: governments attempting to control borders, citizens and the media. Despite these developments, he said he remains hopeful that positive changes will come in the 21st century. Throughout his lecture, Fox emphasized the importance of Mexico, Canada and the United States maintaining a good economic relationship. He said China’s growing economy could cause a shift in the global market away from North America. About 650 people attended Fox’s lecture, titled “Perspectives and Challenges in U.S.-Mexico Relationships,” and stayed for a subsequent question-and-answer segment focusing on current events moderated by history Prof. Geraldo Cadava. Weinberg freshman Jacob Brown was surprised at how little Fox mentioned his own presidency. As an economics major, the fiscal aspects of the lecture appealed most to him. Weinberg freshman Zach Smith said the lecture appealed to his interests in immigration policy. “U.S.-Mexico relations are so prominent right now in the news everyday, and to get perspective from someone that’s dealt with it firsthand is a great experience,” Smith said. Fox ended his lecture by calling for an “enlightenment” focused on compassion, reason and working together. He said it is key to give people purpose, emphasizing that leadership lies within everyone. “Nations belong to their citizens, not to Presidents or Prime Ministers” said Fox, paraphrasing the Dalai Lama. Fox said maintaining a positive relationship between the U.S. and Mexico has been difficult during the Trump administration, and added that Mexico buys $40 million worth of grain from the U.S., which could be purchased elsewhere if necessary. Fox drew applause while addressing specific comments made by Trump.